Addie Johnson Talbott is a multi-hyphenate like many of us in theater. Actor-producer. And mom. Currently she is, to use a rock term, shredding it on stage in Crystal Skillman‘s new play Follow, a site specific piece which is coincidentally directed by Addie’s husband, Daniel Talbott. Addie is a revelation as Sidney, the love-challenged 37-year-old artist who returns to New York as part of her mom’s dying wish. I may be biased, but a fantastic indie playwright said to me after seeing Addie’s startling performance, “She is on my radar now. I must work with her.” It’s no surprise that Crystal jumped at the chance to craft a role for Addie after working with her years ago or that the role is as rich and layered as any on stage right now. You’re in luck; due to Hurricane Sandy, a few extra performances have been added to this intimate show, which boasts only 10 audience members a night, through November 11th. Works by Women spoke with Addie about Follow, what it’s like to work with Crystal as well as Daniel Talbott (her husband), and her work with Rising Phoenix Rep, the award-winning company that has set the indie theatre community ablaze with its ambitious, no-holds-barred Cino Nights, which presented one-night only productions of new plays by 19 of today’s most amazing playwrights. 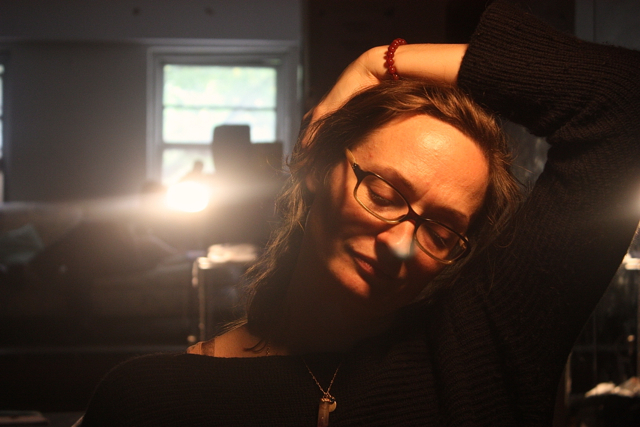 WORKS BY WOMEN: You’ve worked with playwright Crystal Skillman before. What is different or the same about the Follow experience? ADDIE JOHNSON: Crystal herself is the same, with her huge heart, her openness and generosity, her love for actors and characters, her mind that makes connections in a syncopated and brilliant way. The difference is the expansion of the family! Everything else I’ve gotten to work on with Crystal and my rockstar husband Daniel [Talbott] has been with our company Rising Phoenix Rep, and this time we’re getting to jump into the process of creating a new play with a wonderful group of folks, some of whom we’ve known over a decade, some we just met in the last few months, and the chemistry of this mix has supercharged the experience with joy and love. WBW: What should audiences expect with Follow? What does the play touch on for you? ADDIE: I think they should expect intimacy – physical closeness to the characters and their stories, and emotional access to the insides of these people in this moment in time. For me the play resonates with a particular loss I have lived with for a long time, and also with loss in general. I don’t want to dwell on it in a weird way, or tempt fate in any way, but as we’re getting older and feeling the weight of being in the middle of generations, with kids and parents, I have whole new feelings about mortality. WBW: This production was put up in a very short amount of time. With Cino Nights you’ve mounted productions in even less time. What’s it like being on both sides – actor and producer – in this type of indie theatre? ADDIE: As an actor, this felt so luxurious after doing a Cino in a week! I definitely did feel like I was okay with the lines because I’d done it before in less time, but I still put myself in more of a crunch than I would’ve liked to. As an actor, you can only hope to be as well taken care of as you do Ms. Lanie [Zipoy]! And as a producer, I know intimately what insanity it is to be literally running through the streets of this city looking for props that would seem like they should be ubiquitous, or at least available, and it’s like a ray came down from outer space and zapped every last one of them away on the eastern seaboard. In the case of this show – a mix tape. Hello?! WBW: Your husband, Daniel Talbott, directs Follow. And you have an adorable son. One of the big questions in theatre is how to achieve work/life balance. Any suggestions for all of us out here? ADDIE: I feel so insanely lucky that our life is our work, our work is our life, and that we have each other inside and outside of that. I get exhausted by our life and by our work, so sometimes it feels like I need a little more of an awake/sleep balance, but I also feel like at this point in our life with what we’ve chosen to do, we are insanely lucky to get to work as much as this. For everything there is a season, and balance is going to look different at different times in your life. ADDIE: Rising Phoenix Rep is getting to produce the wonderful Martin Moran’s new play ALL THE RAGE Off-Broadway in January with piece by piece productions and The Barrow Group. We’re also doing a few more Cinos this year and starting to work on some film projects. We’re finishing up editing the second volume of Cino Nights plays, and then in the spring we’re getting to head to Los Angeles to work on a project out there. WBW: What are the challenges facing women in American theatre? ADDIE: We have a very tricky thing in our culture and our economy that puts a lot of things out of whack, and out of proportion. What’s valuable, even what’s real, who gets to tell the stories and who is meant to hear/consume them, who gets paid for their work and how much. Artists often get the short end of the stick, and women do, as do people in many different places on the race/gender/economic spectrum. The more you add on – e.g. poor black transgendered woman – the tougher and more out of whack and proportion things can get. The thing that I try to do is find whatever chance I can to take what I find unfair in the world in general, and turn it into a specific opportunity and possibility. All you can do is work to do things differently with the people you love, and hopefully through action, and the work we do, change will come out of that. We never thought of it this way, but we’re really proud and excited that most of the Cino playwrights are women. It wasn’t premeditated in the least, but the whole series came partly out of this desire to just go balls-out and create new work fully up on its feet in space very quickly and authentically. So getting to do that with some of our favorite playwrights and peeps out there, and most of them being women on top of it, has been really cool. WBW: What gives you hope in American theatre? ADDIE: People who work their asses off. People in a room together. Work itself, and the undying spirit and fortitude of artists. People treating each other with respect and love, whether or not they can do something for you or they have so-called power. I’m hopeful because of the badass people I’m getting to work with on this show and in our company. Our son inspires me, and the love of my life D inspires the hell out of me. Follow runs through November 11th at Fanfare Theater (100 East 4th Street in New York City). For ticketing info, visit Brown Paper Tickets. 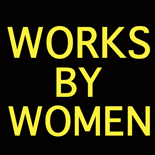 This entry was posted on November 3, 2012 by worksbywomen in Interview, Theater, Women.